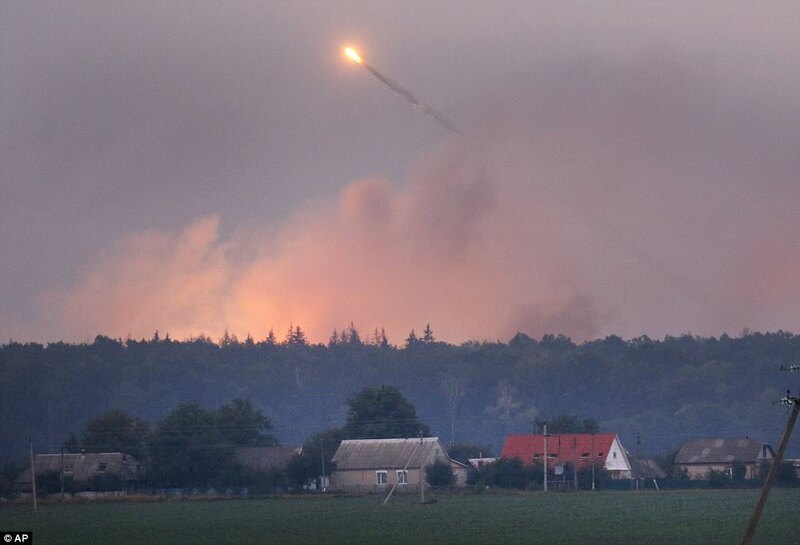 Ukraine's government claim Russians using grenade-dropping drones were behind a blaze at a central Ukraine army warehouse where 188,000 tons of ammunition caught fire overnight leading to the evacuation of 30,000 locals. 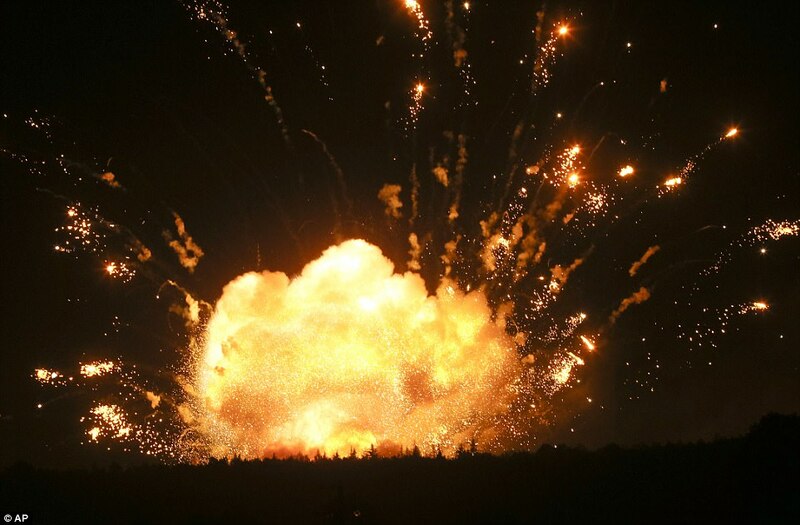 The military warehouse in Kalinovka, near Vinnytsia stored both shells and weapons ammunition, and images from the scene shows an enormous fireball over the area, and several rockets flying into the night sky. 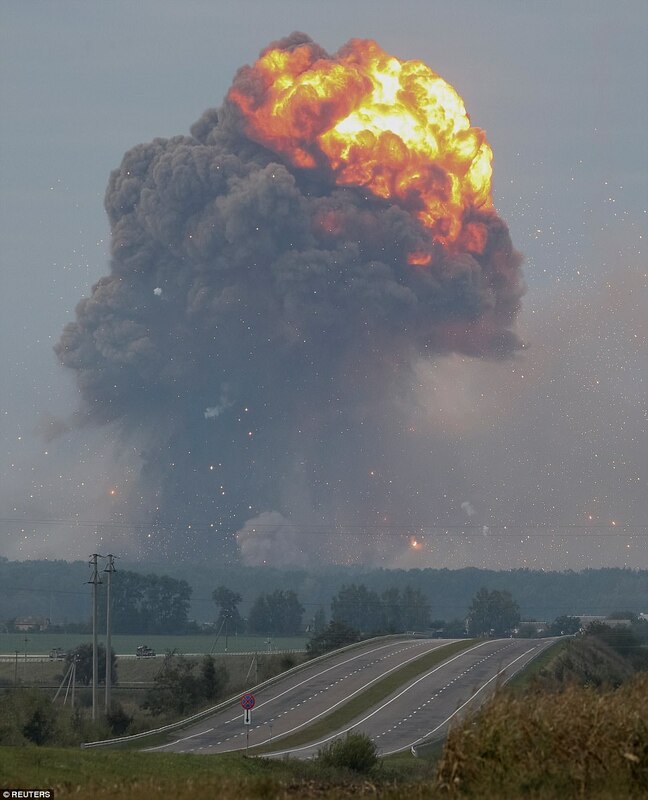 Two women in a village nearby were taken to hospital with shrapnel injuries, as more than 1,000 fire-fighters and Ukrainian national guard battled the flames. 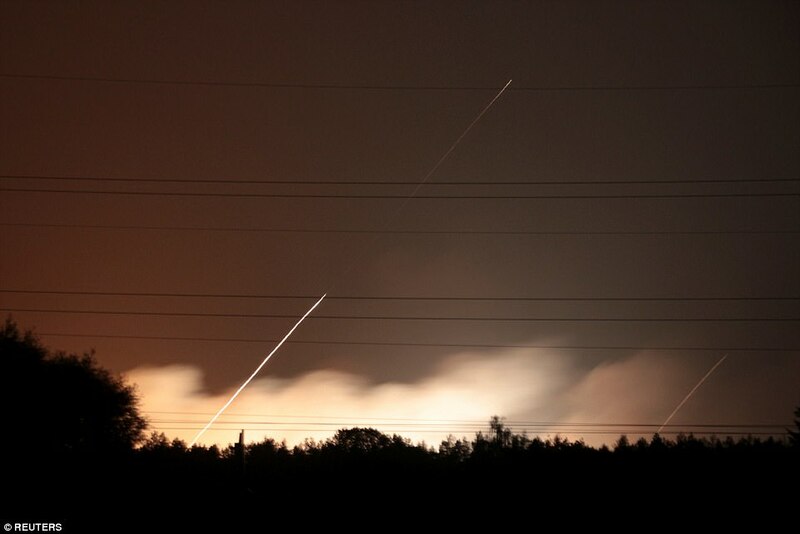 Previous similar attacks have been blamed on Russian-flown drones dropping thermite grenades. 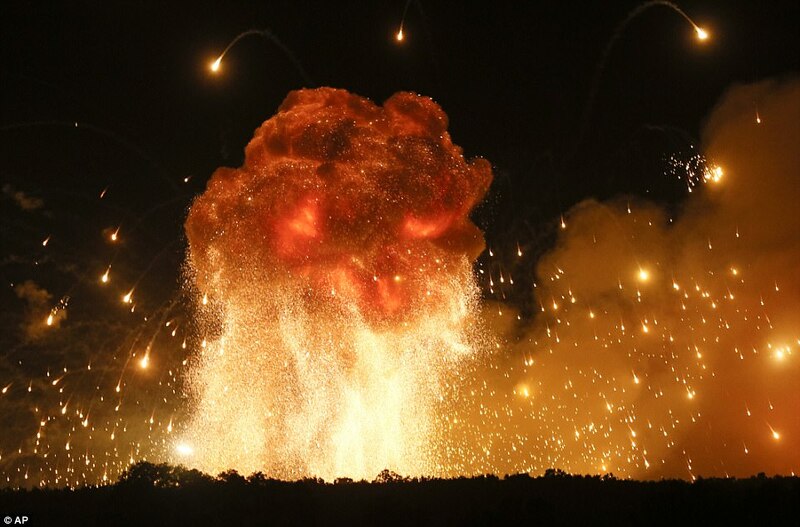 The depot is the largest in the country, and the fire caused shells and flames to shoot high into the sky in an alarming firework display that saw the air space being closed over the city of Vinnitsa. There have been mass evacuations from villages close to the site of up to 30,000 people, RT.com reports. 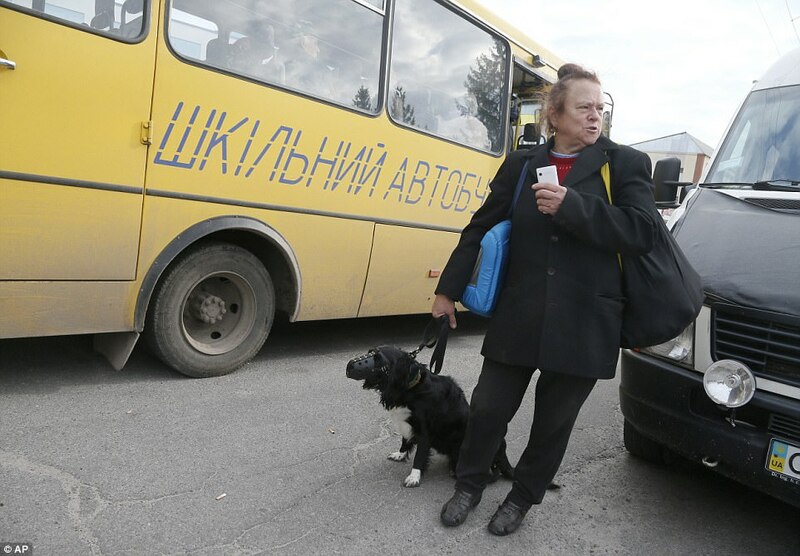 Journalist Yury Butusov, chief editor of Censor.net, claimed the fire was arson, pointing the finger at Russia. He even claimed it was a birthday present from Vladimir Putin to his opposite number Petro Poroshenko, the Ukrainian president, who was 52 on Tuesday. 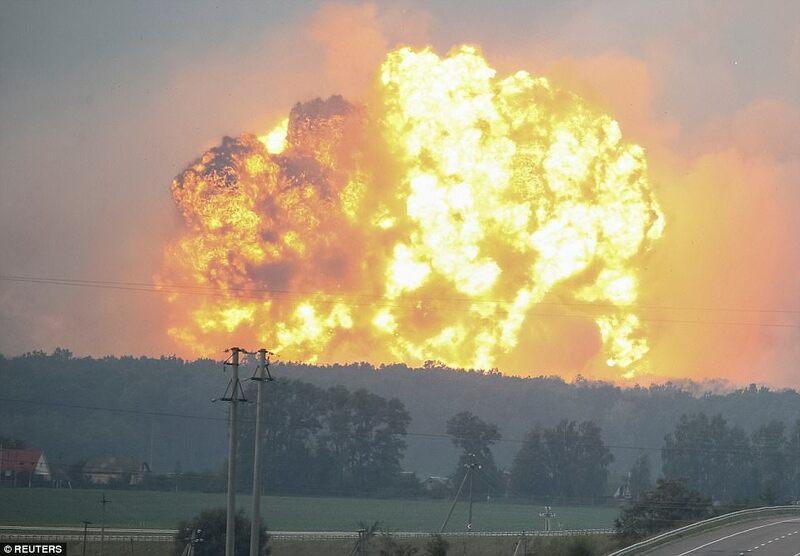 'The biggest artillery storage of Ukrainian army has been attacked,' he said. 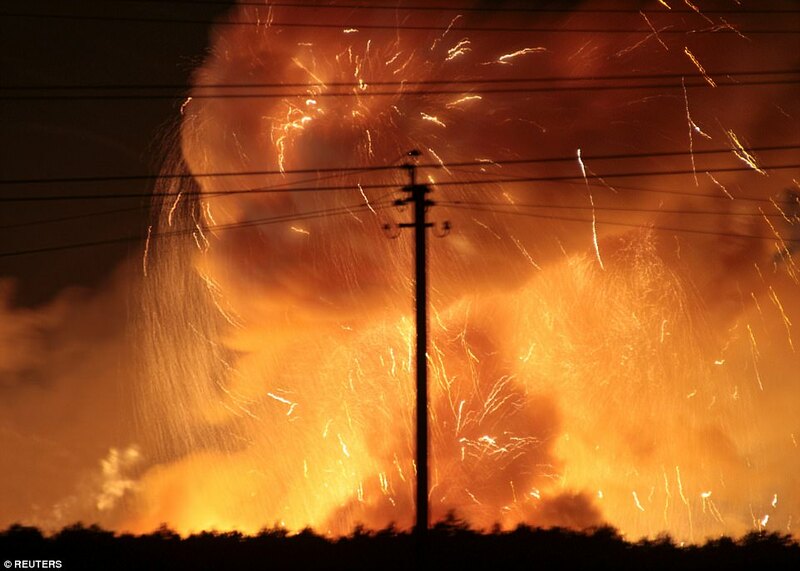 'A source of Censor.net says that explosions are well heard in Vinnitsa, and flying shells are well visible. 'It is an open storage and its capacity was exceeded. 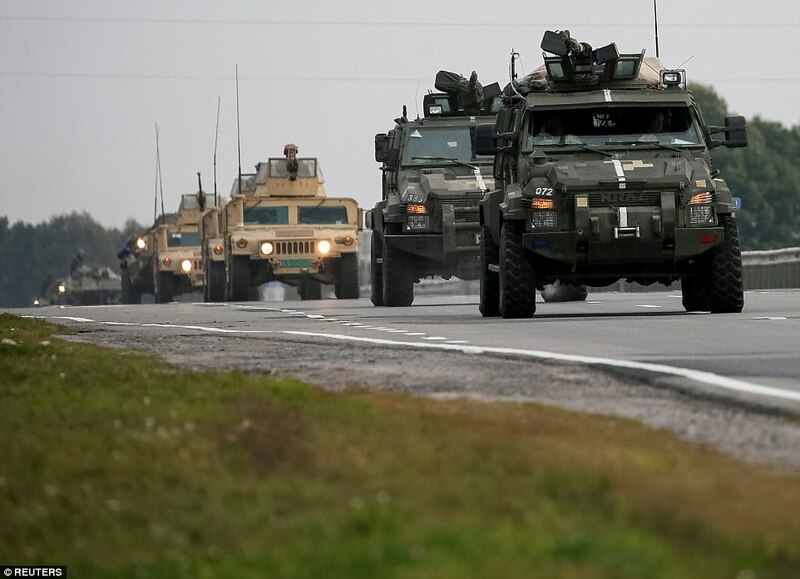 The enemy keeps attacking the military infrastructure of Ukraine. 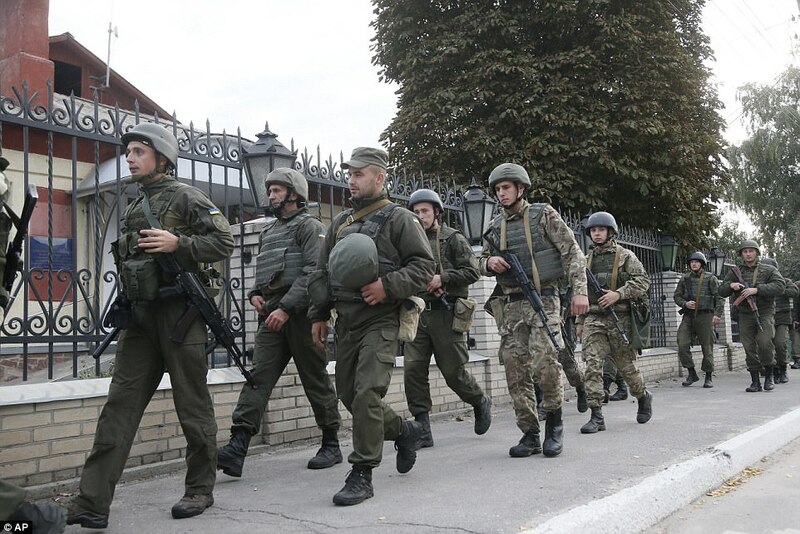 Ukrainian prime minister Vladimir Groysman, arriving in Vinnitsa to take charge of the fire crisis, insisted: 'Everybody is working, the situation is under control.